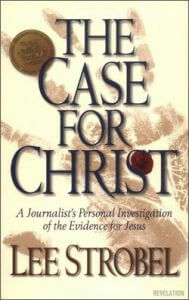 The Case for Christ is a finely-crafted book by Lee Strobel. A journalist and former atheist, in this book Lee Strobel analyzes Christ in a logical and orderly way, and concludes whether or not Jesus is who He claimed to be. Being a former atheist, Strobel attacks each possible weak point in the case for Christ, and ultimately concludes that there is no other alternative but that Jesus was the Christ. The entire book is laid out in the structure of multiple interviews. In total, Lee Strobel interviews fourteen prominent Christians about specific areas of Jesus’ life and background. Throughout the book he takes a very systematic approach, beginning with the veracity of the Bible. After all, Jesus can’t be proven to be who he claimed he was if the book that tells about him isn’t truth. In part one the author examines, for the most part, the veracity of the Bible. He examines with Dr. Craig Blomberg whether or not the biographies of Jesus can be trusted–if they are untrue or legends, then they should not be what we use to learn about Jesus. He then examines whether or not there is credible evidence for Jesus outside of the gospels, and whether archeology confirms the gospels’ accounts of Jesus. Lastly, he checks to see if the Jesus of history really matched the Jesus written about. He concludes with deciding that the Gospels are true, beyond a doubt, and that the Jesus written about in them really did exist. 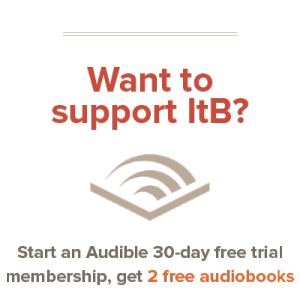 After this analytical beginning, Lee Strobel turns to a more philosophical approach in part two of the book. He asks such questions as ‘Was Jesus himself convinced that He was the Son of God?’ and ‘Was Jesus Crazy when he claimed this?’ He also checks to make sure that Jesus fulfills the attributes of God written in the Bible, and that no one else could have fulfilled the Messianic prophecies in the Old Testament. The part finishes with Lee Strobel becoming more certain of Jesus really being the Christ. The final part takes a look at the Resurrection–perhaps one of the hardest parts of Jesus’ life for us to accept. He questions whether Jesus’ death was a sham and his resurrection a hoax. Medical knowledge leads him to decide that neither were fake or staged. Strobel also asks the logical question, ‘If Jesus really did raise from the dead, was He seen alive after his death?’ Again, evidence from the Bible (Which was proved to be true and historically accurate in part one) convinces Strobel. The Case for Christ is a stirring story of a personal walk. Being a journalist, Lee Strobel takes a very analytical look at the questions he asked, but concludes with a very personal chapter that recounts how his life has changed since becoming a believer. The book ends with a challenge, inviting non-believers like he was to look through the evidence and ask themselves whether there is any other logical path to believe about Jesus. Clearly, this book is written for unbelievers, but it is very helpful for believers as well. For me personally, this book gave me solid, factual evidence of Jesus’ identity as the Messiah. Many times we as believers have trouble with doubting our faith. This book is potent material to eliminate that doubt, plus it brings good information to share with non-believers. I highly recommend that anyone read this book, but I especially recommend it to atheists or other non-believers who reject Christianity on the grounds of being too far-fetched or not factual. I guarantee you that by the end you will have little alternative but to accept Mr. Strobel’s conclusions: this is how good the argument of the book is. Will certainly look out for this book! It is a great book – I hope you can someday read it. I read most of the book, but watched the entire documentary. I was interested in the purported logical and systematic structure behind the investigation of big J.
Oh, and to be clear, I’m not trying to invoke a religious argument here. I think I was interested because I was studying for the LSAT and attacking assumptions, arguments, and premises was becoming automatic! Seriously- that test is a beast. 1. His evidence. Strobel points to his evidence as one-dimensional. For instance, he points out that a famous author (about 100 years after the gospels were out) attests to the gospel’s voracity. To support this claim he points out that there were very few authors we know about from this time and that those few never rebutted this guy. But… this was over 100 years removed. What would this guy know about the voracity of these texts? I don’t pretend to authenticate the work of Emerson or Thoreau! And the fact that there were few writers at the time seems to counter his point rather than help it. 2. Strobel spends a great deal of time rebutting objections to his ideas and methodology. Yet these “objections” are dumb objections that can be easily disproved, and none are from the more ‘serious’ scholars and skeptics who put forth truly thoughtful points. After watching the movie I googled the book and any critiques out there. Fascinating. Apparently there is a movement of people that are skeptical of what they call Strobel’s “Christian apologist” methods of persuasion. They didn’t try to put forth any answers themselves (good, cuz I would rip on them too) but they did rebut the logic and reasoning of works like Strobel’s. So, in the end, I’m not even saying whether Strobel is right or wrong, or any opinion on the case for Christ. I’m just saying that Strobel needs to CHECK YOU LOGIC. Another good review though, Andrew. Faith is awesome, and logic can play a part in it (but I don’t feel it should necessarily have to dominate). But make sure it’s GOOD logic! What’s that? You want me to give you some free GOOD logic? Okay, can do. Argument: Jesus could have literally died and been resurrected. Premise: Though human knowledge grows every year, there are still many mysteries that we have yet to figure out. So while current medical knowledge might not be able to explain a resurrection, that doesn’t preclude it’s possible explanation at a later time. Premise: Given a shaky understanding of both history and human development, there exists a possibility- however remote- that not all human achievement and potential can be known or described by one evolutionary lineage. Premise: Humans living in present times are able to perform feats that have no explanation in modern science. For instance: men are able to go weeks without food and water, lower their blood pressure to critically low levels through concentration, or even perform acts of unexplained levitation. Premise: Current research on the science of aging points to measurable and ultimately reversible changes to the human body that lead to death. If, as some scientists claim, we are one day able to live hundreds of years, or even not experience death, merely through the manipulation of biological processes, it is conceivable that random acts or random mutations in human history could trigger this effect in someone without conscious effort by any person. First a political rant, and now this. Okay. Back to reality now.